From Meredith to Mommy: Moms Have Influence and a BIG giveaway! Moms Have Influence and a BIG giveaway! It was just under three years ago that I started this blog. Why did I start? Because I was a newly minted stay at home mom with two girls under two and a husband who worked from home. I was happy with my new life, but I wasn't getting that regular adult conversation anymore. I didn't have as many people to talk to and tell my stories. I'll tell you, very truthfully, that I did not start this blog with the intention of becoming a brand ambassador, of writing articles for other sites, of being featured in anthologies, of making any money at all. I started this blog just to have a place to "talk" when I had stories I needed to get out. If you ask most "mommy bloggers", I suspect that's not uncommon. But I wrote and I connected and I found a community. And somehow, more people than just my immediate family and my best friends were reading my posts. And not only reading, but really listening to what I was saying. They were interested and they trusted my opinion. And, bizarrely, I actually did find I had some influence. When I found things I liked, I really enjoyed connecting my readers to them. In lots of ways, it really was like being back in the teacher's room, just sharing my opinions with people who were listening. When you have a cool new lunchbag, you share where you got it. If you find a company that not a lot of people know about, you share it. Moms have influence. And blogging moms have an audience to share it with. Social media personalities and bloggers have become a few of the most influential people. Both men and women are finding and sharing their voices with others all around the world. Like so many, they have a desire to be heard and create change. 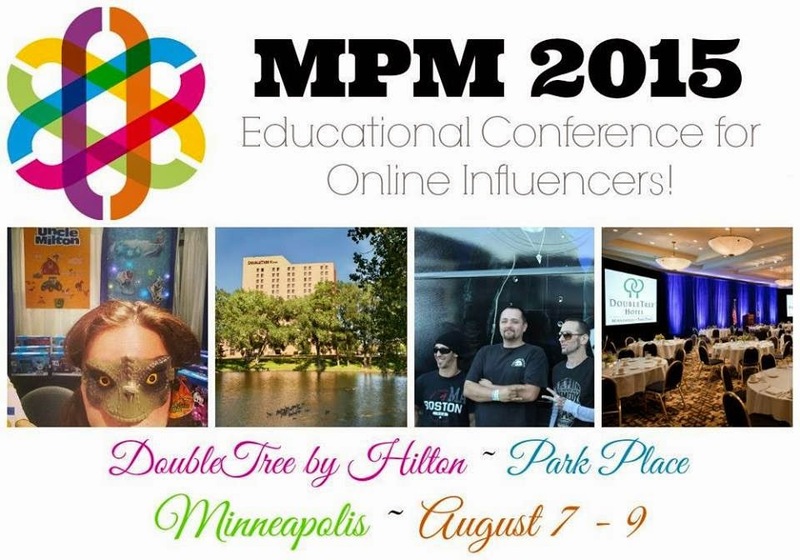 The MPM blogging network has been interacting with these influencers for six years. During that time, we have discovered that creating presence is more than just who you know, it is what you know. MPM 2015 is a conference environment designed to bring brands together with online influencers including bloggers and social media personalities. Our primary goal with this conference is to focus on education and national brand awareness. Proudly bringing together: 500 Infuencers in a two day event 2 Day Event covering 13 market areas. Now for the giveaway! One lucky grand prize winner will receive $2,500! 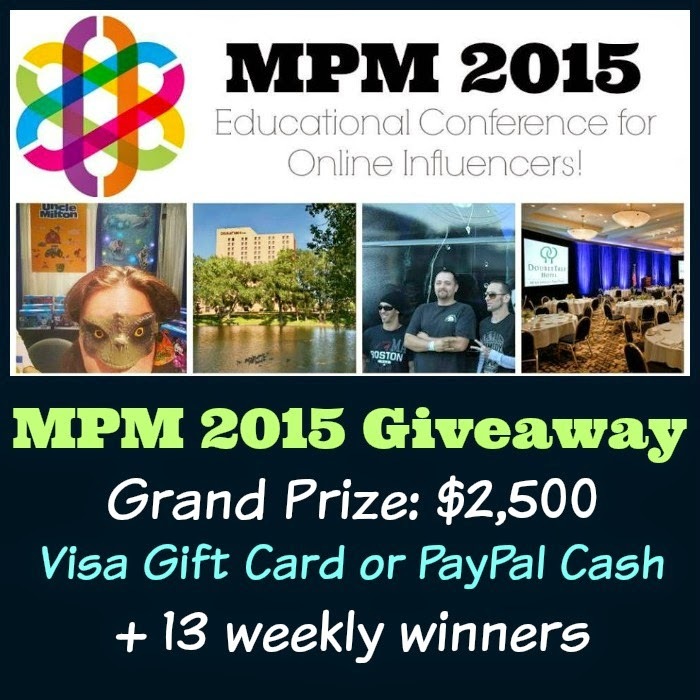 13 additional weekly winners will receive select prizes from MPM 2015 sponsors. Open to the US residents Only, ages 18+. Only one entrant per household, per address. Winner is subject to eligibility verification. Giveaway ends July 3rd, 11:59pm Central Enter using the giveaway form below. Disclaimer: The participating bloggers have not been compensated for this post. No purchase is necessary to enter. One entrant per household, per address. Void where prohibited by law. Winner(s) will be contacted by email and have 48 hours to respond before a new winner is chosen. Mom Powered Media is responsible for the shipment of the prize of this sweepstakes. This event is in no way administered, sponsored, or endorsed by, or associated with, Facebook and/or Twitter, Google, Pinterest or any other social media outlet. Contact teri@mompoweredmedia.com if you have any additional questions or comments.